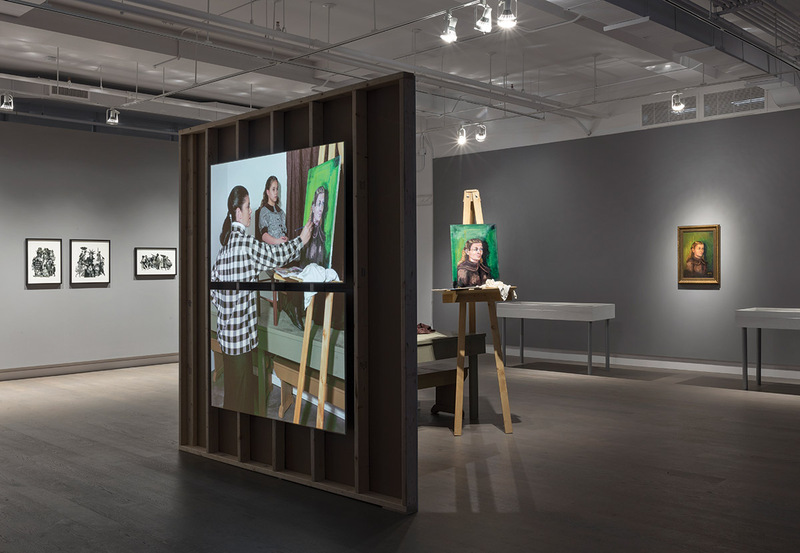 Adad Hannah: Installation view of Three Generations (Kodiak Camera Club, 1953) at the Koffler Centre of the Arts, 2014. Images courtesy the artist and the Koffler Centre, Toronto. This year has already been a busy one for Vancouver-based Adad Hannah, with an exhibition of new work at the Koffler Centre for the Arts in Toronto as part of this month’s Scotiabank CONTACT Photography Festival, as well as concurrent exhibitions of work in commercial galleries in Toronto and Vancouver. Hannah is well-known for a diverse and unique practice that combines photography, video and sculpture with performative elements. Hannah was born in New York and has lived in Israel, England and Montreal. He received his BFA from Emily Carr University, and holds an MFA and PhD from Concordia University. He has exhibited widely, including shows at the Samsung LEEUM Museum (Seoul), National Gallery of Canada (Ottawa), Zendai MoMA (Shanghai), and the Vancouver Art Gallery. Hannah’s work is held in many public collections, including the National Gallery of Canada, Musée d’art contemporain de Montréal, Art Gallery of Ontario, Ke Center for Contemporary Art (Shanghai), and the Zacheta National Gallery of Art (Poland). He has won the Canada Council for the Arts’ Victor Martyn Lynch-Staunton Award for outstanding mid-career artists. Here, Magenta contributor Matthew Ryan Smith talks with Hannah about his current exhibitions, and what it was like collaborating, for the first time, with family members. Matthew Ryan Smith (MRS): I’d like to begin by discussing your show at the Koffler Art Centre in Toronto. From what I understand, this show represents somewhat of a departure for you in that it makes reference to your personal history. Adad Hannah (AH): Yes it does, though I didn’t realize at first how different it might be from previous work. With each project, I tend to think that I’m doing the exact same thing I’ve done before, and don’t realize it until I take the time to look back and think: ‘that was actually quite a departure.’ This tends to work in my favour though, as it allows me to take risks without realizing that I’m doing it until much later. MRS: Is there a reason why you turned to your biography, to your personal history as subject matter and as a source of meaning now? 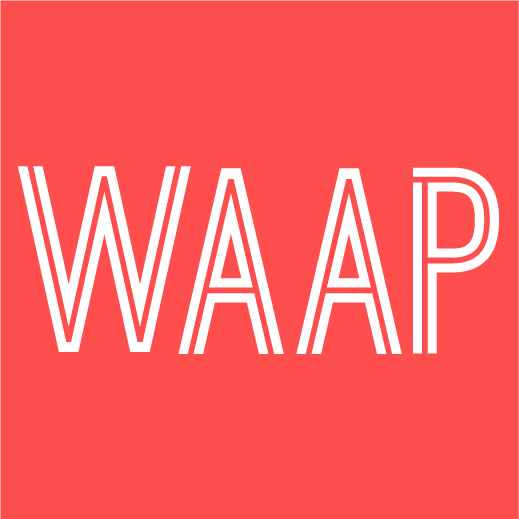 AH: The exhibition at the Koffler was the perfect excuse to explore issues surrounding family, personal history, photography and memory – I suppose these are the building blocks of biography, except that photography is a stand-in for representation, which can and has taken many forms over the centuries. 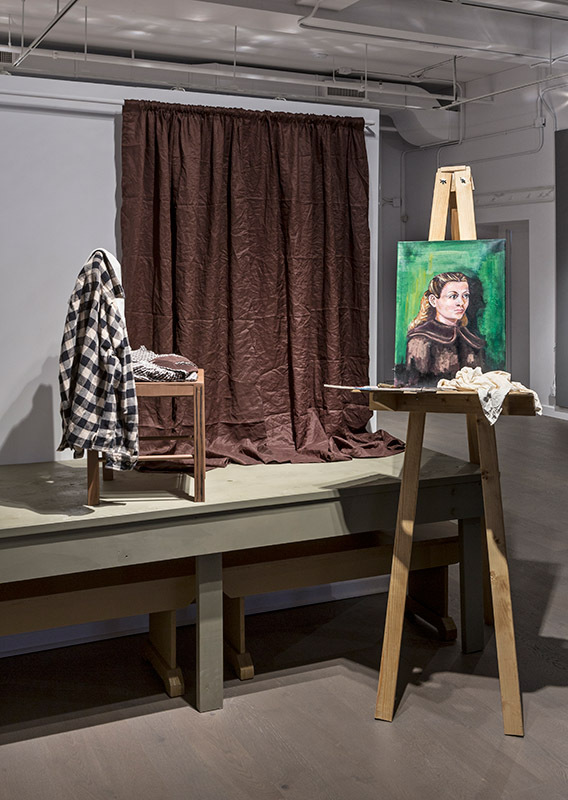 MRS: Your Koffler exhibition draws inspiration from a fascinating photograph of your mother posing for your grandmother’s painting, snapped at a US Army base art class on Kodiak Island, Alaska in 1953. As elsewhere in your work, the pose – or the staged scene – is at issue, which brings to question other categories of the pose such as time, artifice, and movement. What would you say is appealing about the idea of the pose or, rather, posing? AH: That is a good question and I think one that has probably changed over time. Certainly the inability to pose satisfactorily (as outlined by Roland Barthes in Camera Lucida) might be part of the fascination or appeal of posing. The guarantee of failure is always alluring! It seems that once one is lead to think about staging everything appears staged. For example, when a viewer stands in front of my work and sees somebody posing in a held position, they are often drawn to contemplate their own performance of stillness in front of an artwork. MRS: Absolutely. Barthes talks about the pose as something that creates another body and thus a different image of the self. I’m wondering now if your work operates as a camera in a way; that viewers are made aware of their performativity, their pose, in front of your work as they would be in front of the camera. AH: I’ve never thought of it that way before, but I like it. Certainly the sense of self-consciousness that can be felt in front of my work is certainly similar to how one sometimes feels when being photographed. In the photograph of my grandmother painting a portrait of my mother there is also another body created. The woman in the painting looks about five to 10 years older than my mother was at that time, so the painted woman becomes a third body created by the interaction between the other two. I like this because it reminds me of Mikhail Bakhtin’s and Mieke Bal’s interrelated ideas about the creation of meaning and how it is always created through dialogue. In my mind, at least, this dialogue can be between people or between people and artworks, and perhaps even between two artworks; although I suppose the latter (object-to-object) could ask the “if a tree falls in the forest…” question. MRS: As you well know, family photography is a highly complex practice and area of study, the family snapshot being one of the most ubiquitous forms of vernacular photography. For Susan Sontag, “Cameras go with family life;” that “Through photographs, each family constructs a portrait-chronicle of itself—a portable kit of images that bear witness to its connectedness.” (On Photography, 1977) Would you agree with this statement, and if so, how do you connect to the Kodiak Island photograph in particular? AH: Yes, it is probably true, though perhaps becoming less and less so. Martha Langford also talks about this when she writes about family albums and their role in maintaining family cohesion. In reading your question I thought that the opposite reading is also true – that “cameras go with family life.” By this I mean that the camera is no longer an object to be used by the family to document itself. Instead, the family has been atomized, each member creating their own mass of images through devices, such as iPhone’s Photo Stream, that they often control access to, and which function as connected islands of images whose level of connectedness can range as much as any family’s internal dynamics. So perhaps the rapid expansion of lens-based image making has either aided in the dismantling of the constructed family unit or is just documenting its demise. Of course, as a father of two young children, I hope that I’m at least partially wrong; the fact that my son, Toro, has already taken a couple thousand photographs that I’m diligent enough to archive, but too lazy to look at, is not a sign of the end of the family portrait-chronicle. I, of course, am not arguing for “family values,” but I do think that family albums are a fascinating genre and would be sad to see them disappear. Adad Hannah: Brawl (2014). Colour photograph, 30 x 23 inches. Courtesy Equinox Gallery, Vancouver and Pierre-François Ouellette Art Contemporain, Montreal. MRS: Keeping with this familial theme: what was it like to collaborate with your mother, who is also an artist, on this show? AH: It was stressful, but productive. My mother has a great eye, but we don’t always see eye-to-eye. She is very smart and thoughtful. MRS: That’s the nature of family, no? AH: Yes, of course, but collaboration is always about checking one’s ego and cooperating, so ultimately we have been having a great time and hopefully creating interesting work. Working with my mother as a collaborator and working on my own history was both challenging and stimulating. Collaboration is always a tricky process, and with one’s mother perhaps more so, but it has been quite fun and I would certainly do it again. I’m not sure if my mother feels the same way. My 93-year-old grandmother also played an important role in this project as the subject of interviews and as a model for a series of videos. MRS: Could you talk a little about the installations that you’ve created for the Koffler show? Does it revolve around the Kodiak Island photograph? AH: Yes, the installation revolves around that Kodiak Island photograph, which I have restaged using actors and a built set. I have tried to think of that photograph as the seed for this show, we planted it and watered it and explored the vines it sent up. I am hopeful that in the end the exhibition will be coherent enough even though it has several disparate sections including audio interviews with my grandmother, pairs of old family photographs that were separated for generations, and collages my mother made from black and white family and performance photographs – my parents were performers and I grew up doing experimental theatre in Europe. There are also videos of my grandmother posing for me between interview sessions. Adad Hannah: Young Man (2014). Colour photograph, 30 x 23 inches. 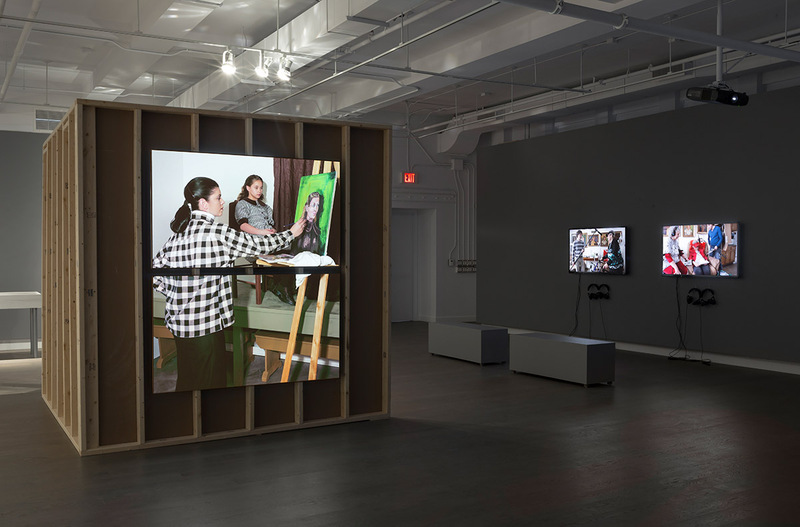 Courtesy Equinox Gallery, Vancouver and Pierre-François Ouellette Art Contemporain, Montreal. MRS: I would argue that the photograph you base this project on pays homage to Velasquez in a way, who you’ve engaged before in works such as Sitting in the Great Hall (2008). Do you see any relationship between this image and Velasquez’s Las Meninas (1656-57)? AH: Sure, but Las Meninas is so fertile, generative and amazing that one can link it to almost anything. For me, the surprise of Velasquez’s masterpiece is always how self-reflexive it is, a postmodern tour de force from almost 500 years ago. My show at the Koffler repeats a similar process of deconstruction and reconstruction I have performed before but never produced with a family member as collaborator. I have made lots of videos in my Family Stills series with family as models, but this project with my mother and grandmother is different. MRS: Mirrors and mirroring are strong presences in your work. Arguably, mirrors operate as both visual and metaphoric devices; I think here of the myth of Narcissus, Duchamp’s “Mirror Portrait” (1917), Lacan’s “mirror stage,” Gordon’s Proposition for a Posthumous Portrait (2004), and so on and so forth. What is the significance of the mirror to your body of work? AH: Funny, I have almost shot a Narcissus project that I’ve had in mind, maybe I will do it, now that you reminded me. It’s also funny that you mention Gordon’s and Duchamp’s work as I remember being twelve or thirteen and my mother cutting a star into someone’s hair and thinking it was cool but not knowing that it was a reference to Duchamp until many years later. For me, and for all the artists you mentioned and many others, the mirror is such a great metaphor for many of the ideas I’m interested in exploring such as duplication, the “original,” the “copy,” photography and the darkened glass, reflection, mirror-images, etc. I’ve completed at least two projects that create the illusion of a mirror through the use of twins [Internal Logic: Camping from 2007, and All Is Vanity (Mirrorless Version) from 2009]. Mirrors also serve to make one acutely aware of the gaze, both our own gaze at artworks and Lacan’s disembodied and omnipresent gaze. MRS: You also have a show at the Equinox Gallery in Vancouver. What can audiences expect to encounter? AH: Yes, I do. The show at Equinox is a new installation commissioned by the Two Rivers Art Gallery and produced in January in the Northern BC community of Prince George, as well as photographs and videos from several projects created in the last few years. It’s the first time that this work has been shown in Vancouver. I’m quite excited about this show as I was able to show the complete Virginia Hall, 1914 installation and still have room in the other galleries to show several projects, including ones commissioned for museums and galleries in San Antonio, Seoul, and Sarnia. MRS: And, finally, do you have any future projects planned? AH: I always have a few ideas simmering in a small pot at the back of the stove, but sometimes they stay there for a long time so I can’t make any promises. 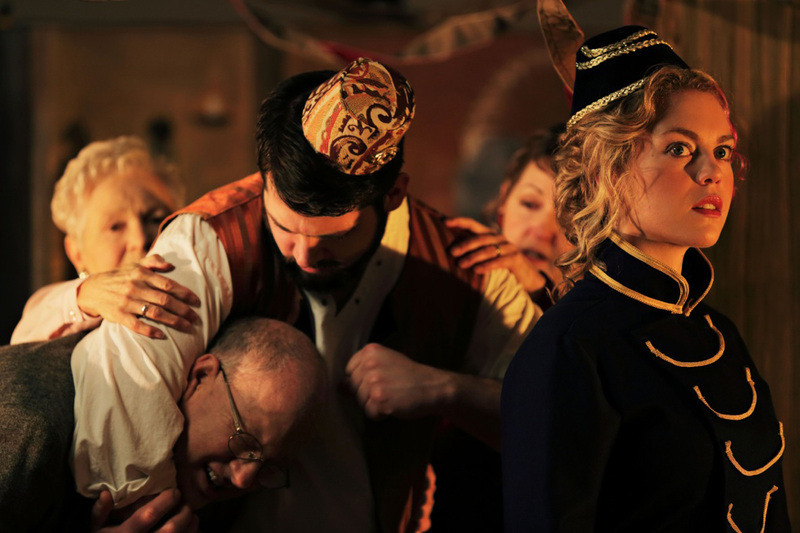 I’m about to start production on a new project with filmmaker Denys Arcand (The Decline of the American Empire, The Barbarian Invasions, Jesus of Montreal). This will be our second collaboration after a commission for the Montreal Museum of Fine Arts in 2011. This installation will be shot in Paris and Vancouver and shown for the first time at the Canadian Cultural Centre in Paris in early 2015. Being an artist can be a bit solitary, so I welcome the opportunity to collaborate, especially with Denys as we have a lot of fun and bounce ideas off of each other freely without much friction. I also have a new project for which I had six ninja outfits made, but I can’t talk about that just yet. Hannah’s exhibition Three Generations (Kodiak Art Club, 1953) continues at the Koffler Centre of the Arts in Toronto until June 8, 2014. His work is part of a two-person show at Pierre-François Ouellette’s Centre Space gallery in Toronto until May 31, and recent work is displayed at Equinox Gallery in Vancouver until May 31.